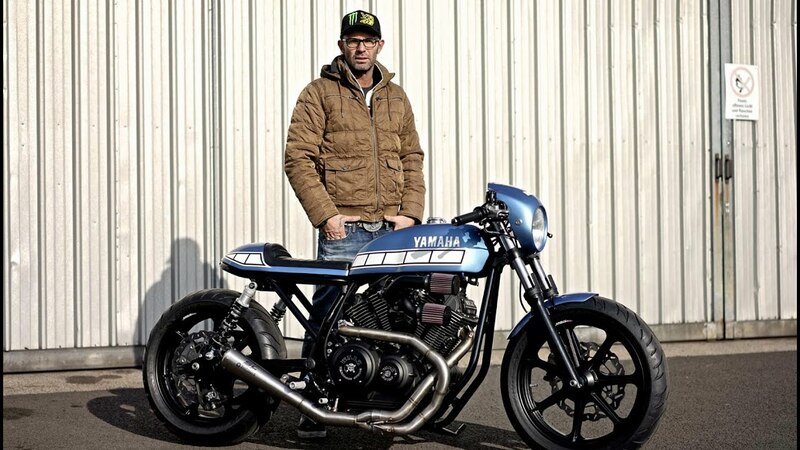 Legendary German custom bike builder Marcus Walz is back with a stunning take on the Yamaha XV950; ‘El Ratón Asesino’ sets a new standard for detail. 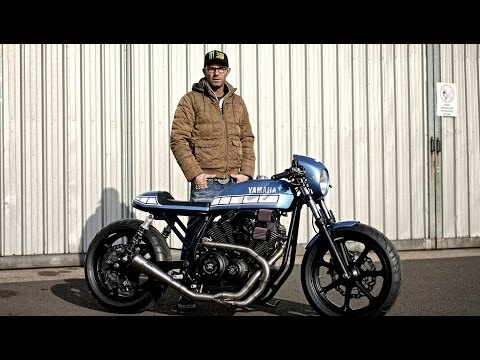 Walz transformed the rear end of the XV950 with a modified swing arm and a custom rear sub-frame. Mini LED rear lights integrate into the frame. A custom fuel tank was added along with a custom headlamp cowling and tail unit topped with a hand stitched leather seat. The ride gets a full work over with the stock front-end suspension unit modified and lowered with prototype progressive springs whilst the rear gets fully adjustable Öhlins shocks. Hand-cast magnesium wheels by Marvic are fitted with custom adapters made in house. Custom rear sets change the ride dynamic giving a sportier sitting position. The café racer look continues with LSL clip-on bars holding a quick throttle system, custom switchgear, LSL master cylinder and LSL adjustable clutch and brake levers all topped off with custom bar-ends. Sitting in the middle of the action is a Moto Gadget ‘Tiny’ tachometer. The XV950’s engine block gets custom cylinder-head plates , engine casings and a custom manifold feeding an SC-Project exhaust. Modified front and rear brake calipers clamp on to Wave rotors front and rear for stopping power and the bike is finished with a stunning pale blue retro paint job, pin striping, and of course Yamaha speed blocks!